Washington, D.C., June 29, 2012, (LifeSiteNews.com) – Pointing a loaded gun at peaceful protestors just became a minor offence. At least that’s the case for Dr. Gary Boyle, an abortionist who pointed a loaded pistol at peaceful 40 Days for Life protestors, and who will now have to pay a $100 fine after pleading “guilty” Friday to a significantly reduced charge. Dr. Boyle was originally arrested for felony, facing the possibility of up to five years in jail. However, Scarlett Wilson, South Carolina’s Solicitor for its Ninth Judicial Circuit, decided to instead reduce the charge to a misdemeanor, punishable by a fine of $100 or a 30-day jail sentence. One article suggested that this case raised castle doctrine issues. This could, in part, explain why he got off easy. We're supposed to believe that three pro-lifers handing out literature constitute a lethal threat. 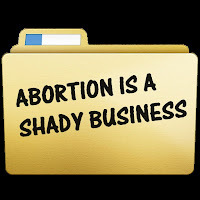 The other reason for the flimsy punishment is that the system does not want to take an abortionist from his practice. Poor-choice America is desperate for people to do the dirty work.